Inside the AX 1200i there was a nice little card letting me know that if I wanted to download the latest version of the Corsair Link software, I could find it at www.corsair.com/linksw . It is a very small download so even on a low-speed connection, you will have no problems. After downloading the software you will have an installer .exe, looking something like the one below. Run this and you will start to install, it is a very quick install and couldn’t be simpler. After the install is finished it will request you to restart your computer, ensure you do this and then your software will be ready to use. Once you start up your Link software, you will be greeted with this home screen, there is a lot of information to process here and you can click on almost anything to get even more details. I will start with the temperature sensors as there are quite a few of these, but the interface is the same for them all upon clicking one of the sensors a pop-up will appear with two different tabs, “Configure” and “Notifications”. The configure tab is very simple, it allows you to rename the sensor and also shows you a graph of your current and past temperatures. The Notifications tab has a few more options to make sure you can be alerted if there are any problems with your temperatures, you can set minimum and maximum temperatures and then you can completely control what happens if the values go outside of these parameters. 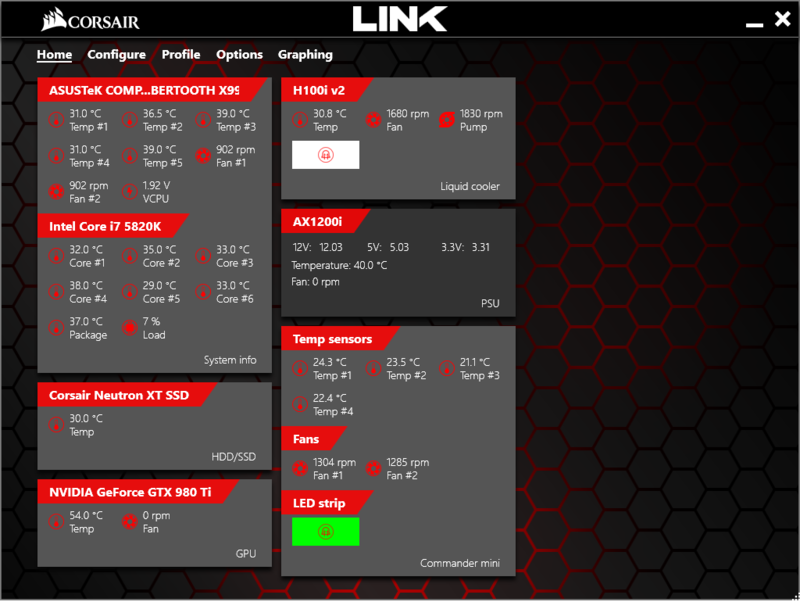 The Link 4 software gives you the ability to automatically shut down the PC after a set period of time, run a file of your choice, trigger all LEDs to a certain colour or set all the fans at 100% speed. You are also able to select multiple actions so that the Link 4 software can turn all the LEDs a certain colour at the same time as setting the fans to 100% for example. Next, we are going to look at the fans, again, we have two tabs, “Configure and “Notifications”. Under the Configure tab, you can completely control how you want your fans to act, you can do this using the Mode drop-down box and selecting one of the pre-made fan profiles, or you can create your own using the “Custom” profile. You can also “Group” each fan individually so that each fan can be controlled independently from a separate temperature sensor, or you can group them all together to run as one, it is entirely up to the user. Next, I am going to look at the H100i V2, this has a temperature and fan speed control like above, but it also has pump and LED configuration. You can Choose between quiet mode and performance mode for the pump, allowing you to control the pump RPM. The notifications tab works the same as the fans and temperature sensors but we can also select an LED colour for the cooler. There is an option to pick two colours, one for when it is working as per usual, but you can also set another colour if the temperature gets too high. 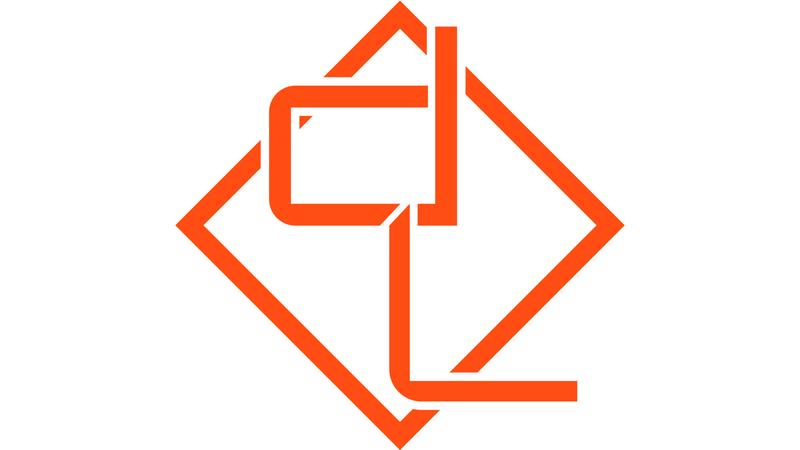 Yet another way the Link software keeps the user in control. 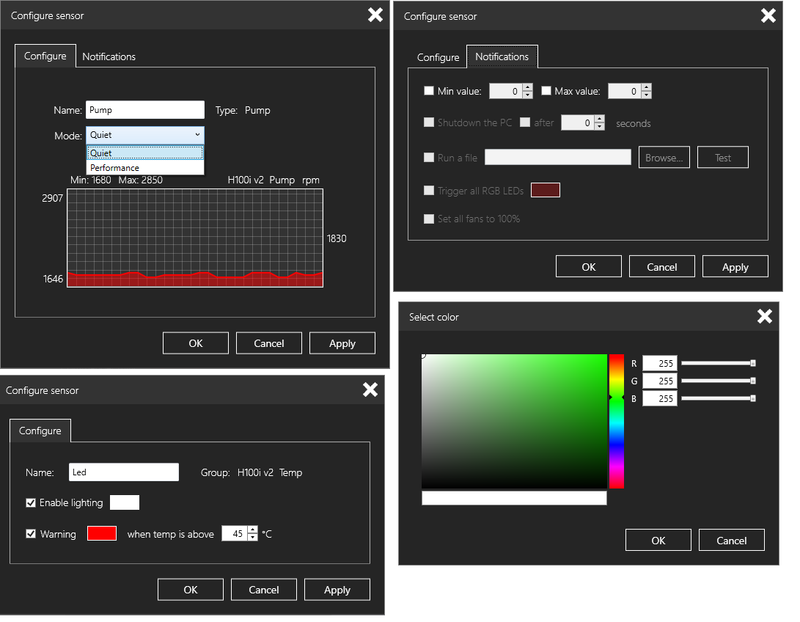 Speaking of LEDs, if you are using the Corsair Link RGB LEDs with the Commander Mini, you can also control them using the Link 4 software, we can choose between modes, such as cycling through multiple colours, or alternatively have them temperature based. If you want to change the colour based on temperature, you can also put them into a group, so if it is in the CPU package, it will be controlled from the temps of the CPU. This is how I set my LEDs, just a simple scroll through primary colours. My Geeky Trip to Germany – Day 4 – be quiet! .